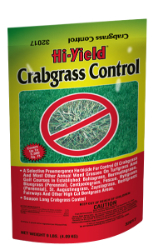 Provides season long control of pre-emergent Crabgrass, Foxtail, and others in most turf grass. 9 lb - 5,000 sq. ft. 35 lb - 20,000 sq. ft. This product contains no fertilizer.